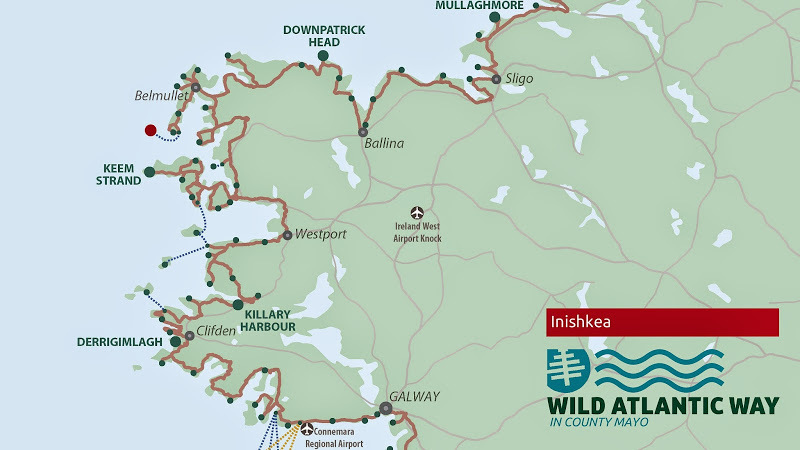 Iniskea islands are situated on the west coast of the Mullet Penisula and they are rich in amazing scenery, rare wild life and archaeological sites. The islands are home to a wide range of birds including Mute Swans, peregrines and corncrakes. Half of the Irish wintering population of Barnacle Geese make the islands their home. A large number of grey seals benefits from the peace and protection of the islands. Sometimes dolphins and whales can be spotted out to sea. In Early Christian times Saint Colmcille and Saint Brendan the navigator founded monasteries on Inishkea islands; the remains of these monastic settlements can be still seen today.